Ok, so the title needs a little editing. It took a little getting used to, but now it’s all I eat. And it’s great topped with some honey or a fruit butter/jam (pumpkin butter, anyone?). 2. Regular carrots taste better than baby carrots. Ok, so this one might just be a personal opinion of mine, but I’m sticking to my guns. Not only are whole carrots a lot cheaper (usually $1-2 cheaper per package), they taste better. Don’t believe me? Do a taste test yourself. No, baby carrots aren’t any different that the big ones (they’re just chopped up versions of the regulars) but you have to remember: they’re still a processed food. They’re mechanically stripped and cut. That’s gotta mess with the taste, right? Check out this article for more info. 3. Mushrooms aren’t so much a vegetable as they are a fungus. To my lovely sister, Kim: this one’s for you. I briefly mentioned in this post that I once partook in an anti-fungal diet and once I started thinking about all the foods that we consume and what they do to our bodies, I haven’t bought mushrooms since. That’s not to say that they’re really bad for you, but if you tend toward digestive issues or ailments that you can’t shake, you might want to shy away from them. Shoot, my sister is totally getting to me. 4. The white and orange part of the candy corn kernel taste better than the yellow part. I don’t know why. Try one yourself and see if you agree. I dare you. 5. You should consider trying octopus if you’ve never had it. Octopus is actually really good for you. Think about it- the octopus is at the top of the ocean’s food chain so it gets its pick of food, unlike its bottom-feeder friends. 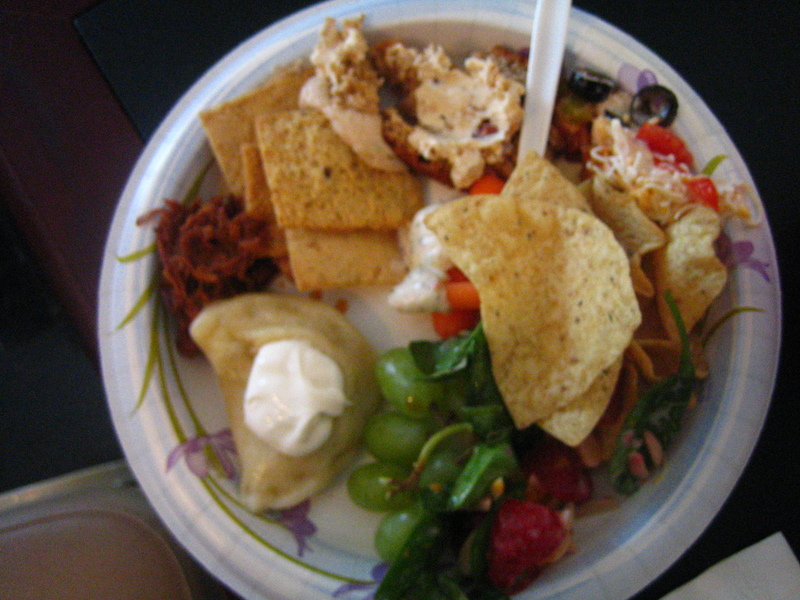 This may be completely unscientific, but the nutrition stats don’t lie. It’s low in calories and fat and high in B vitamins, iron and protein. It does contain a pretty high amount of cholesterol and sodium, so if you’re watching out for those it might not be the best choice for you. Taste-wise it’s really mild. I’m not usually a fan of it in sushi restaurants (the preparation can sometimes make it a little chewy) but I love it at tapas restaurants. Look for “pulpo a la plancha’ on the menu. You can thank me later. What interesting food fact have you been dying to share? Inquiring minds want to know! I’m with you on the whole carrotes versus baby carrots! Carrots are better than baby carrots. i think its because the baby ones get all dried out and nasty and half the bag are split. That can’t be good. I had no idea about the mushrooms. I have massive GI issues, I love mushrooms and I eat them daily. Uh oh. My favorite part of the candy corn is the white part. It’s drier and crumblier and sweeter. The rest is good too though. I have, on occasion, eaten the whites and put the rest back int he bag. I live alone. I can do that. 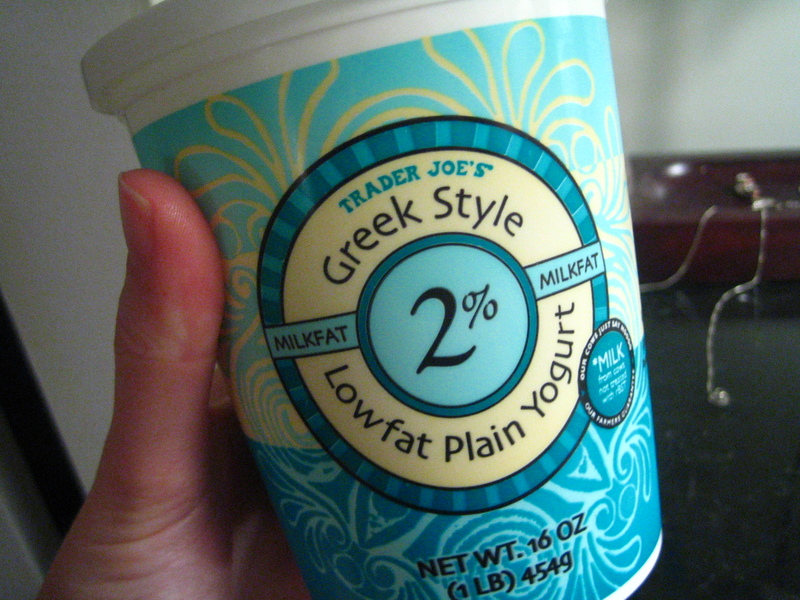 Ah, I LOVE 2% Greek yogurt. It’s amazzzzing. And I don’t eat fungus. Can’t do it. Mushrooms gross me out. Also, unpeeled whole carrots are my fave. Way better than the baby variety. I love when people think yogurt is automatically a healthy snack. Sort of like the people who think anything from Trader Joe’s or Whole Foods is good for you. Sugar can be organic, too, people! Wait- not everything from TJ’s is healthy? I’ve been living a lie, nooooo!! Whole carrots are WAY better than baby carrots. Fact. Regular carrots definitely taste better. Mushrooms rock, fungus or not. I love ’em. Flavored yogurts contain SO much sugar… even some regulars. 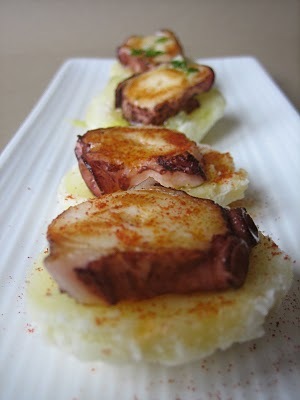 And finally, octopus is SOOOOOOOOO good in ceviche! Yum! Awww I wish I liked Octopus! I’ve only ever had it plain over rice so maybe that’s why i’m not a fan of the lil guy! Organic carrots > conventional carrots! 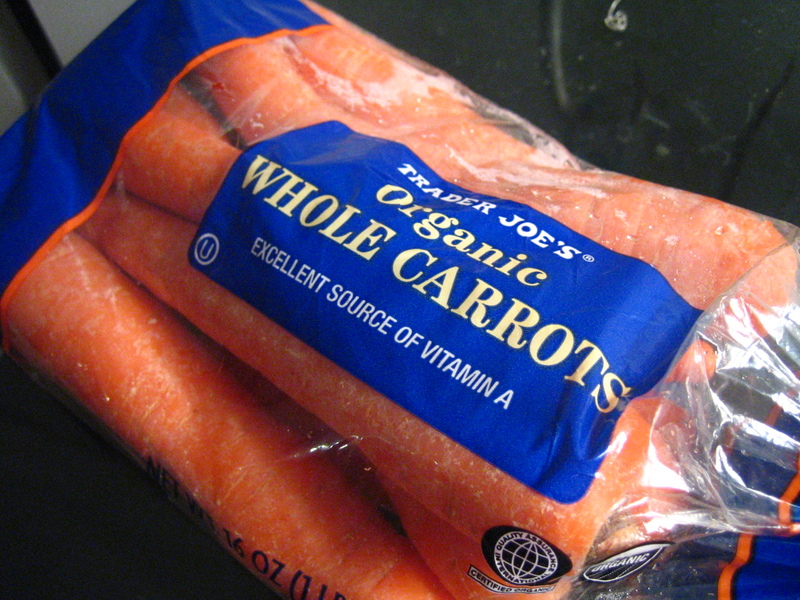 =) But obviously you knew they taste better by your trader joes organic carrots =) woot! That yogurt and bag of carrots are stables in my fridge 🙂 Baby carrots = psshhh. It’s called use a knife. I’ve tried octopus before. When it was still living and writhing in the hot pot. i agree – whole carrots taste better than baby – but when they’re shredded and tossed in dressing i can’t tell the difference! Not to mention that ‘baby carrots’ are incredibly wasteful of both the carrot parts that get shaved away and the mechanical energy deployed to shape them.